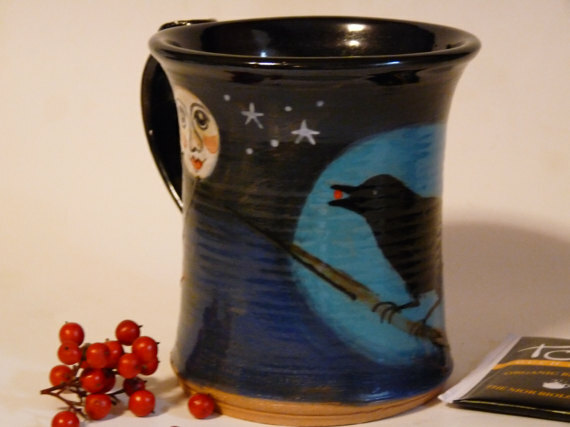 I love raven art mugs! Ravens are such mischievous, interesting characters. Some people love them, some people hate them. I love them! And you can find raven art in my paintings quite a bit. 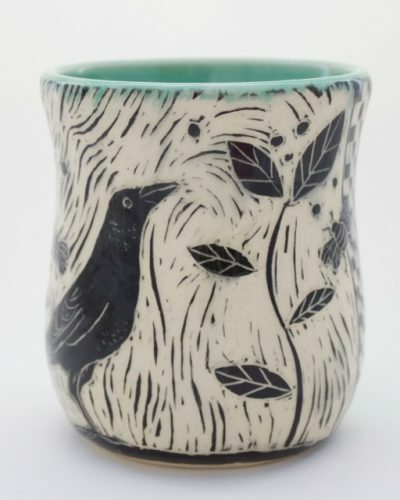 A few years ago, one of my art collectors, sent me this gorgeous mug by Natalie Warrens, a Portland, Oregon artist. I love the black with the blue background and the red spirals. It’s very dreamy! It’s funny how one tends to pick certain mugs to drink from and I love having favorite mugs to choose from depending on how I’m feeling. 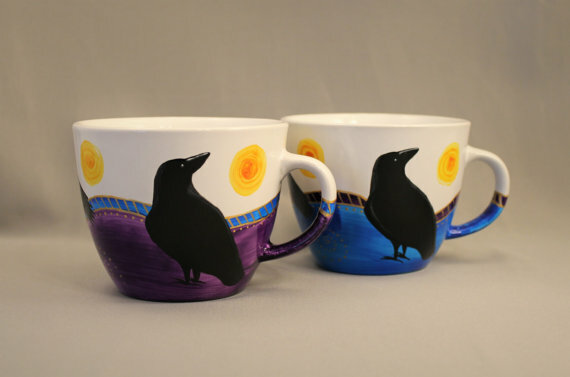 I thought you might like to see some other cool raven mugs that I found online. I don’t own any of these YET but maybe I will soon. I sure do love them! I will note, some of these mugs are no longer available for sale but perhaps the artist will do a custom order for you if you find one you love. 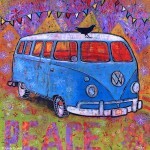 This one is from The Clay Bungalow on Etsy. I love how the raven is bowing toward the cherry. The spots of red with the black is striking. 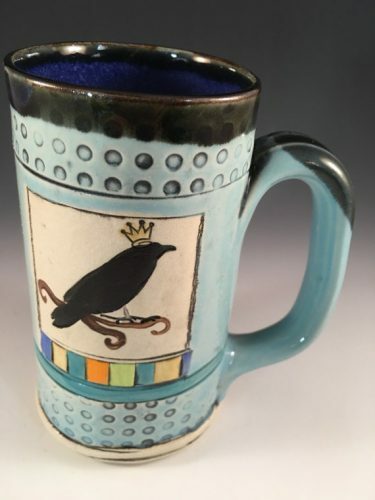 Alissa Clark Clayworks has made this queen raven mug which has a very whimsical quality. And you know I love whimsical! Kick the Moon Studio has made this black and white one. I like the raw quality of it and it’s humor – Caw Caw and spirals. I also LOVE SPIRALS! 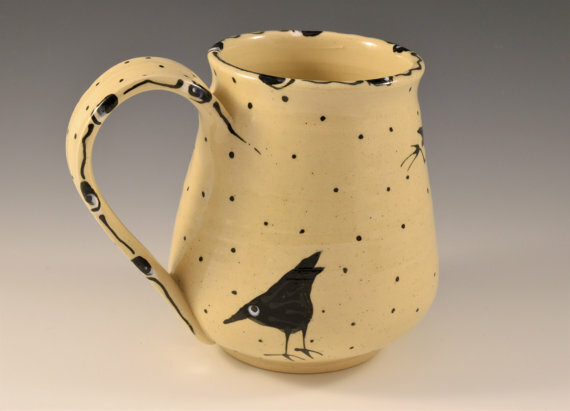 Calling Crow Creative has these raven mugs available. I like the colors and the position of the crow looking up toward the sun. 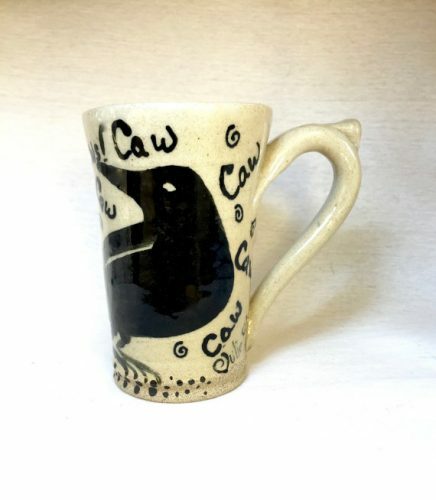 Dancing Hare Studio (don’t you love the names of these pottery studios) has this rustic raven mug. So cute! 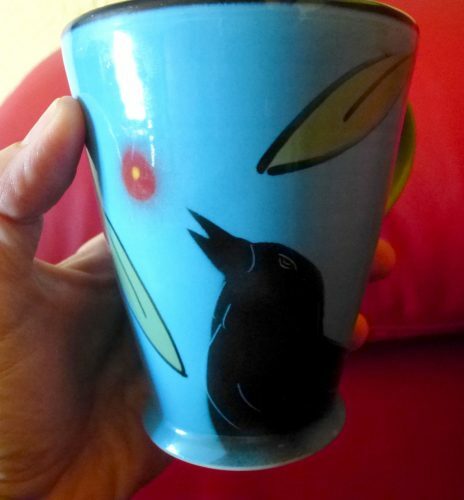 This little raven is comical and sweet on this mug. It’s by Maple Lane Pottery. 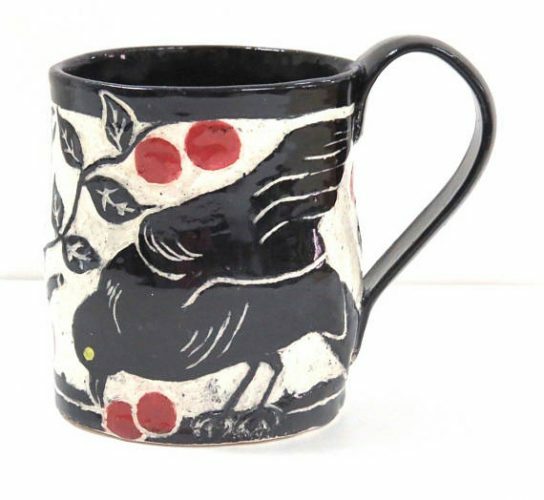 And I just love the woodcut looking raven mug by Patricia Griffen. Her mugs are expensive but I can see why…they are so beautiful! And so is this one. Gorgeous! 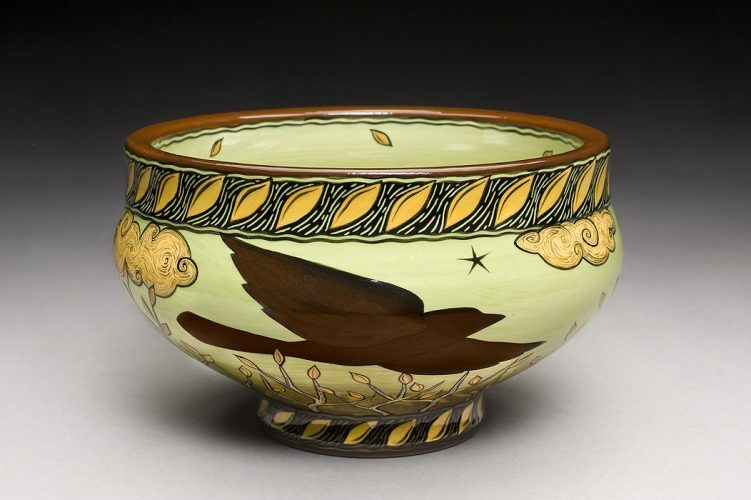 If you like having your coffee out of a bowl, check out the ceramics of Terri Kern. Her ceramic art is like a storybook illustration. I love a good story! 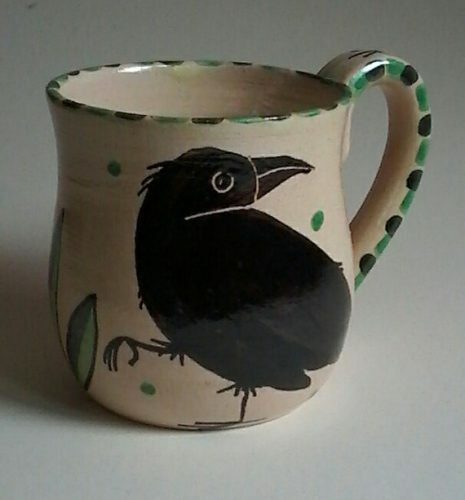 Hope you enjoyed looking at the raven mug images. Do you have a favorite ceramic artist? Let me know in the comments below. These are so cool. I think my favorite is the mug by the The Clay Bungalow but my gosh what a lovely collection. Thank you for sharing these – so fun to see! Thank you Lindy! 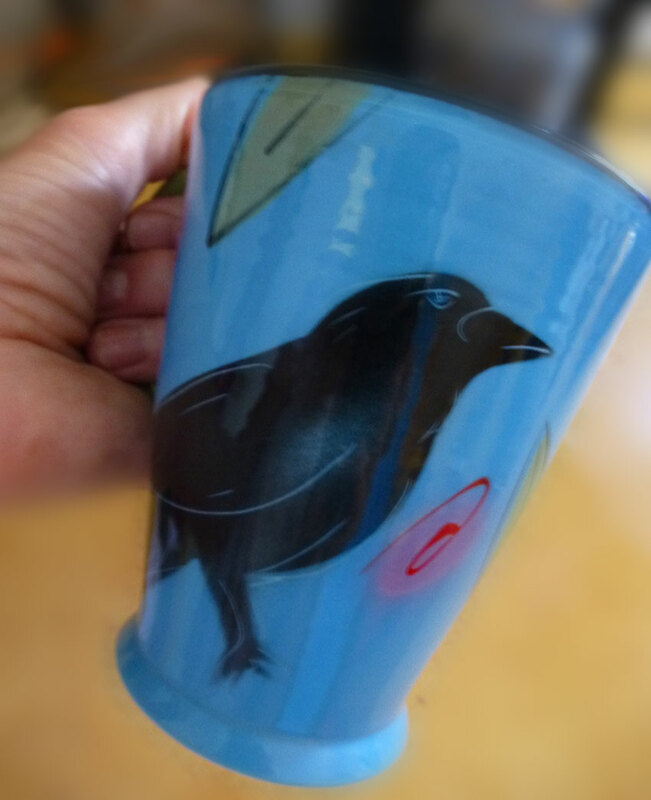 Love having my Raven mug on your blog! Love your selection of Raven mugs! Very inspirational! Robbi – Maple Lane Pottery!! You’re welcome Robbi. Your raven mug is so sweet. I love your work!